MDC volleyball player Wendy Romero, a sophomore, was recently named NJCAA First Team All-American for the second time, joining some of the nation’s top players on the list this season. 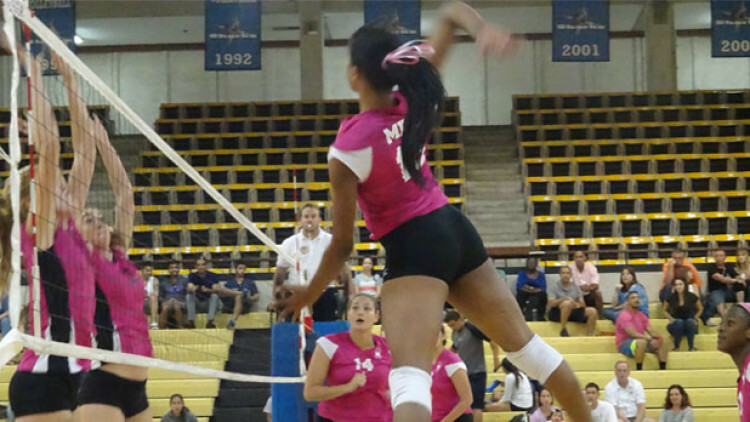 Romero is the sixth player in MDC volleyball history to make first team two consecutive years. She graduates this summer and has signed with Park University-Missouri. The outside hitter, originally from Venezuela, has led the team to new heights. In her first season at MDC, Romero rocked the nation ranking third in points per set and fourth in kills per set. This is also the second year in a row she has been named to the First Team All-Southern Conference and FCSAA First Team All-State. Romero also earned Southern Conference Player of the Year two years in a row, and this year was named FCSAA State Player of the Year. This season, Romero led the team once again and was one of the front runners in the NJCAA, as she was third in the nation in kills per set with 5.13, third in hitting percentage with .445 and fourth in points per set with 5.9. The Lady Sharks competed in the FCSAA State Tournament this year and claimed the Southern Conference title.